Lucky man. 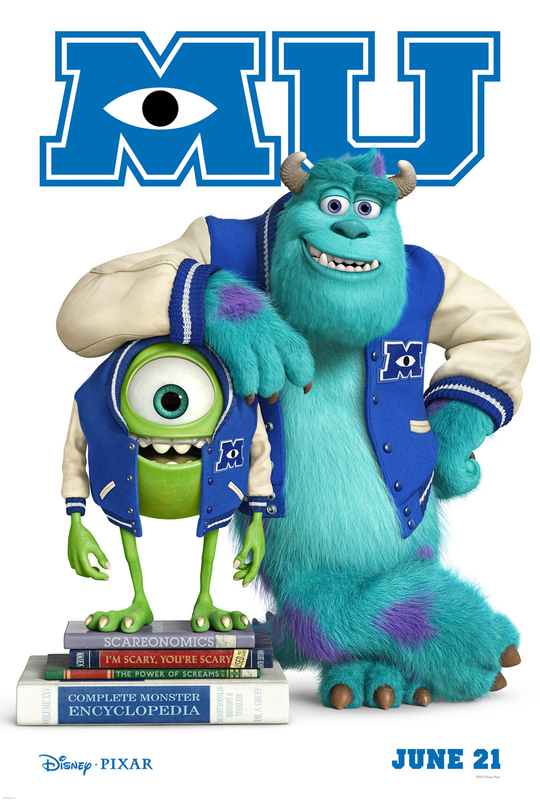 I attended a pre-release screening of Pixar‘s new movie, Monsters University last night … at Pixar’s campus. We live close to Pixar’s offices just across the bay from San Francisco. My family is close to Pixar in other ways as well. Chiefly my daughter, Lauren is both a super fan and a talented and creative college art student with a plan to work at Pixar one day. Years ago I remember my family standing outside the gates of Pixar. The security is tight and few non-employees ever enter. We stood back at a distance just looking with no plan on what to do next. As I scanned over the fence I half expected to see smoke stacks billowing and smell chocolate in the air. For me this was Willie Wonka’s mysterious factory. This benefit screening was my first opportunity to enter the gates to Pixar. Alas no Oompa Loompas (that I could see) and the only chocolate served was on the dessert tray provided for the guests. Since that first family “visit” years ago Lauren made connections at Pixar and has visited several times. She oriented us to the layout and pointed to all the new special touches set up for the new movie. There was a new archway to resemble the same in the movie. Banners and club flyers hung everywhere. We were at Pixar and Monsters University. My passion is organizational development. I have studied the history of Pixar and the role of Steve Jobs to focus Pixar on movie making using computer animation and be a different kind of company. He designed the main building at Pixar’s facility and it is named in his honor. A large central atrium is the focus of the building. The design is deliberate to allow employees to bump into each other on the way to the different food serving areas, meeting rooms and yes, the bathrooms. I believe the only initial bathrooms in the building were in this atrium area to force interaction among employees. A hello leads to a discussion. Small talk leads to bigger ideas. Connection leads to collaboration. Problems lead to solutions. All on the way to the bathroom. The benefit was for techbridge, an organization focused on building passion in young women for science, technology, and engineering. Women are underrepresented in these fields and techbridge does wonderful work to inspire and practically train young women in these sciences. One girl in the program asked me to demo her video game. She was no older than 14 and she fully developed a video game – as I raced along the game she was explaining the design elements she put into the program. Truly awesome. I met two other women. One a recent graduate from UC Berkeley and the other is in the engineering program at Stanford. Both told me they are where they are due to the programs at techbridge. For what they do, techbridge gets a WeMoveTogether shout-out. Oh yea, the movie is great. Okay, really great. Pixar movies focus so well on wonderful stories first with all the amazing art and tech falling in line. There is always something for children and adults alike. I am not sure which one I am at this moment. Indeed, it is a wonder to live so close to Willie Wonka’s factory.